“We could destroy loneliness altogether if we just started by saying hello.” In fact, saying hello “costs you so little but gives you so much back,” declares Kaveh Pakjoo, a youth leader in Bromma, Stockholm. Saying hello helps someone feel recognized by letting them know you are interested in interacting further, and while it’s a great start, it’s also just the beginning. It takes a bit more effort to actually form a friendship, Kaveh explains, as he remembers his first real connections he made during his youth. Born in Iran, Kaveh’s family moved to northern Sweden where he spent his early childhood years. He remembers in kindergarten moving to a new city and how hard it was when he first arrived. “I used to go and hide until the other kids found me or the teachers would come and try to encourage me to join the group,” Kaveh shares. With the recent influx of immigrants coming to Sweden, Kaveh sees a noticeable uptick in kids and teens growing up in similar situations. 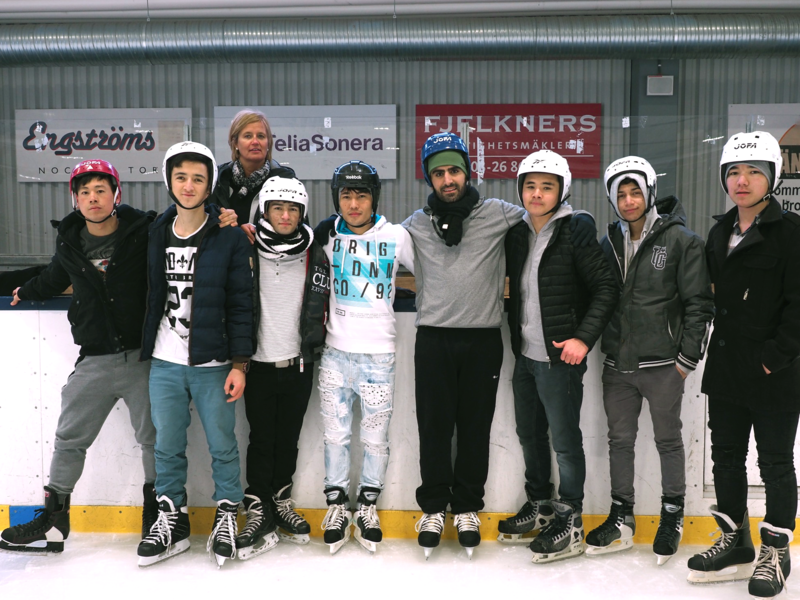 A large number of the youth coming to Sweden often arrive alone or with only parts of their families. Kaveh notes that while many of these kids may have had nothing more than the emotional support of their families in their home countries; in Sweden they have everything they want and need except that support. It leaves them stuck in a feedback loop of feeling lonely and disconnected with the world around them. And it’s not just Sweden — loneliness is a growing epidemic among youth across the world. So how do we bring more connection to a young person’s life? According to Kaveh, it just takes one person to say hello, as it did with him when living in the various boys’ homes he grew up in. While some of these boys’ homes were quite strict, Kaveh recalls one man who started engaging with him regularly. The man discovered Kaveh liked to read, so introduced him to the author Dean Koontz. “He started bringing his books for me. And that, I will remember that always… This guy I will remember forever.” Kaveh carries this experience into the work he does today. In 2016, Kaveh started his own after-school center called Kavehs Fritid, a non-profit organization that provides activities for local boys during their free time. What started as pick-up soccer games and the occasional barbecue has turned into an ongoing series of activities and events where kids, teens, and community members come together to make and sustain deeper connections. Kaveh has worked hard to build a safe and nurturing space for people to get to know each other. The genuine care and compassion that Kaveh brings to the boys he works with can inspire us all. To learn more about Kaveh and his organization visit his website. From children to the elderly to everyone in between, feeling alone and disconnected has become commonplace. So we’ve started the Dis/Connect series to share stories of how people have overcome loneliness and how they find new and creative ways to become more connected. If you have a story you’d like to share, please reach out at connect@panion.io.